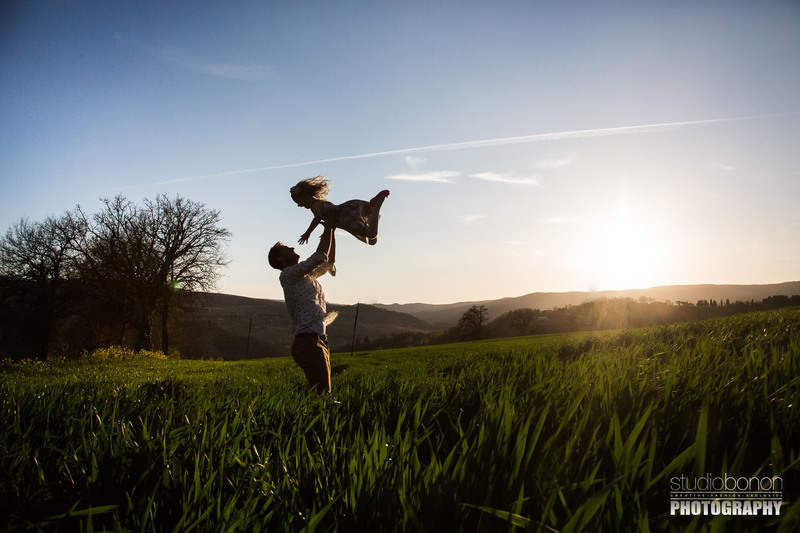 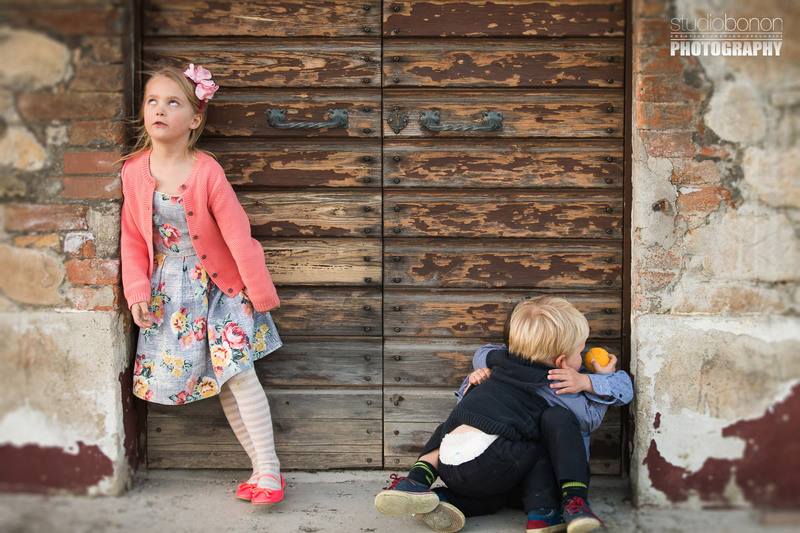 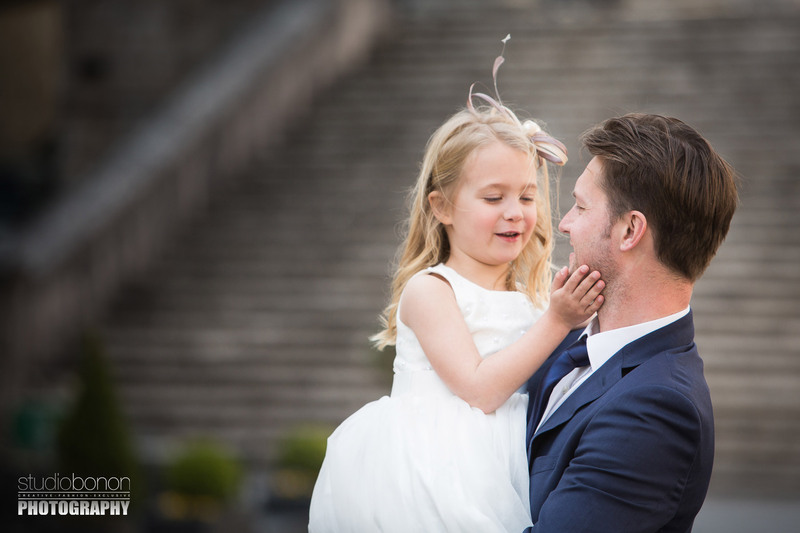 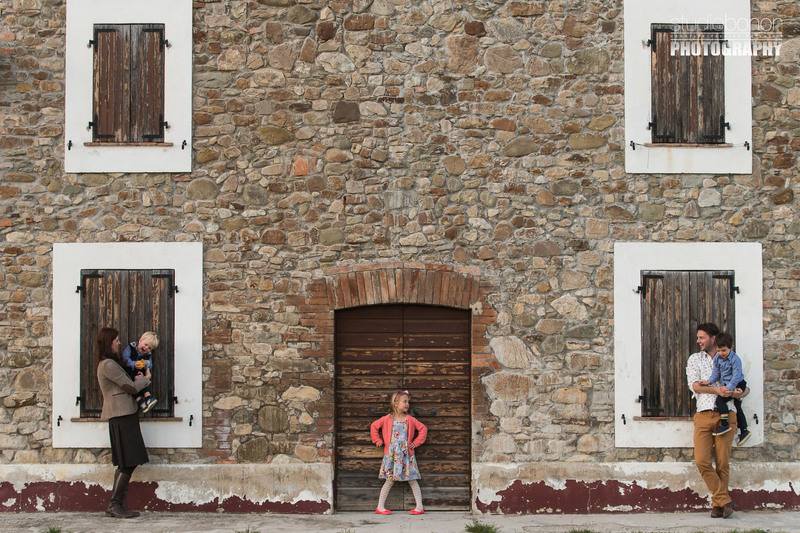 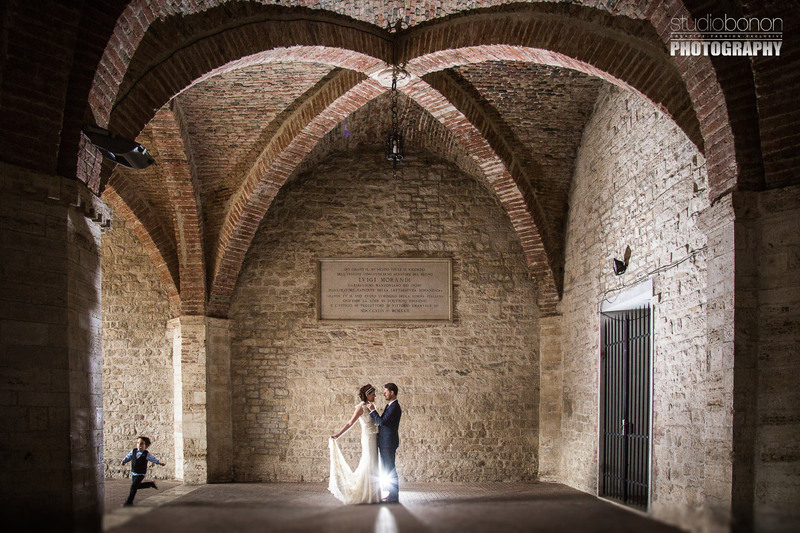 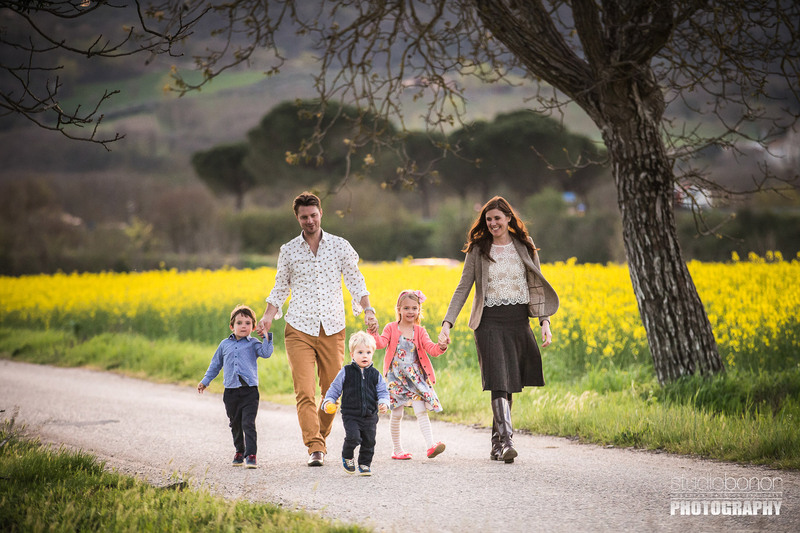 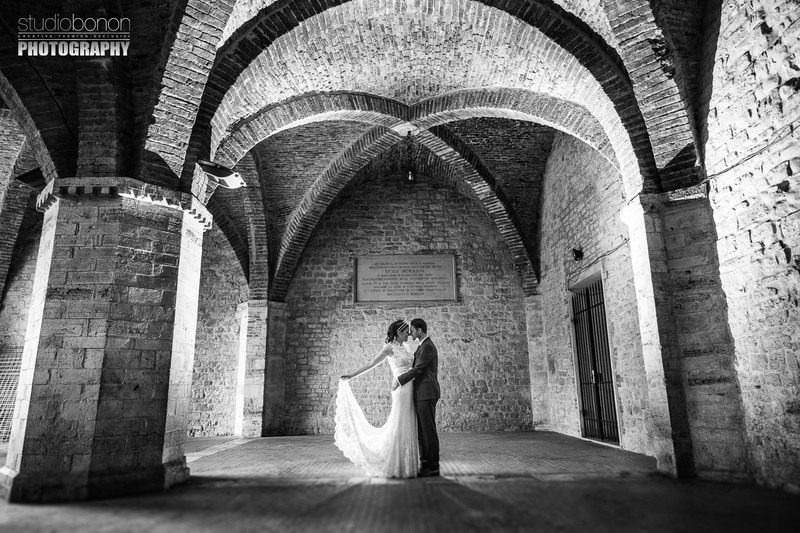 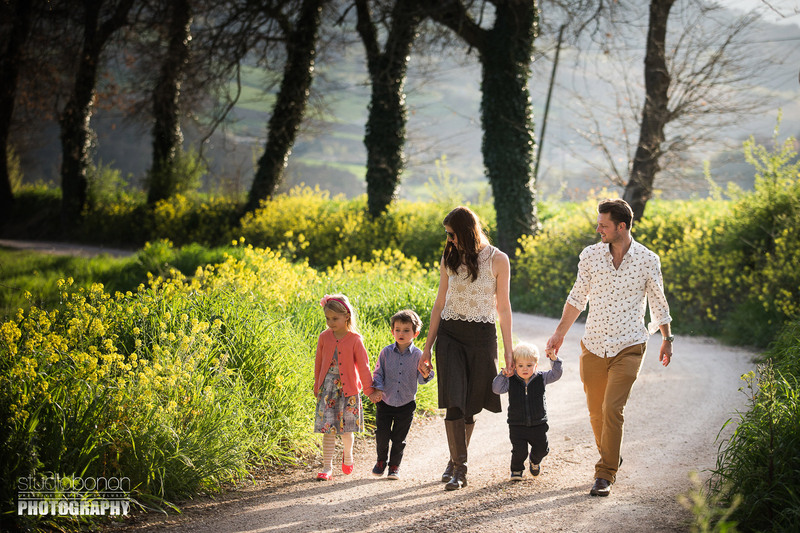 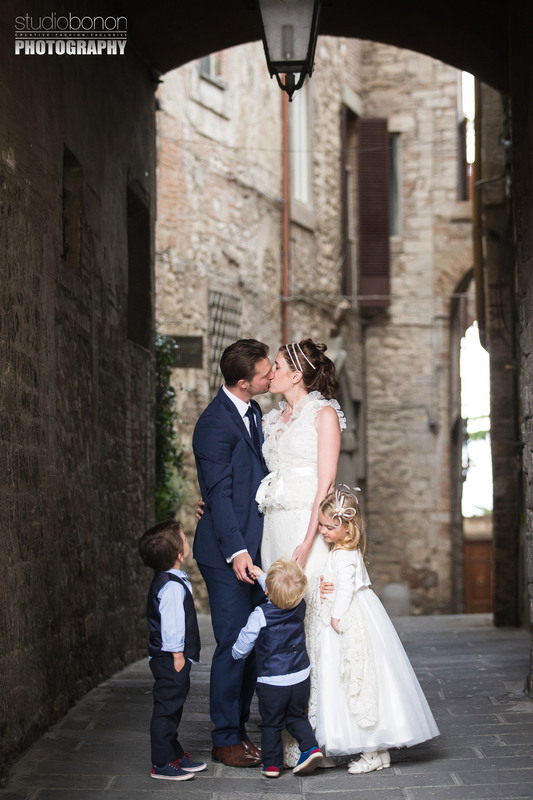 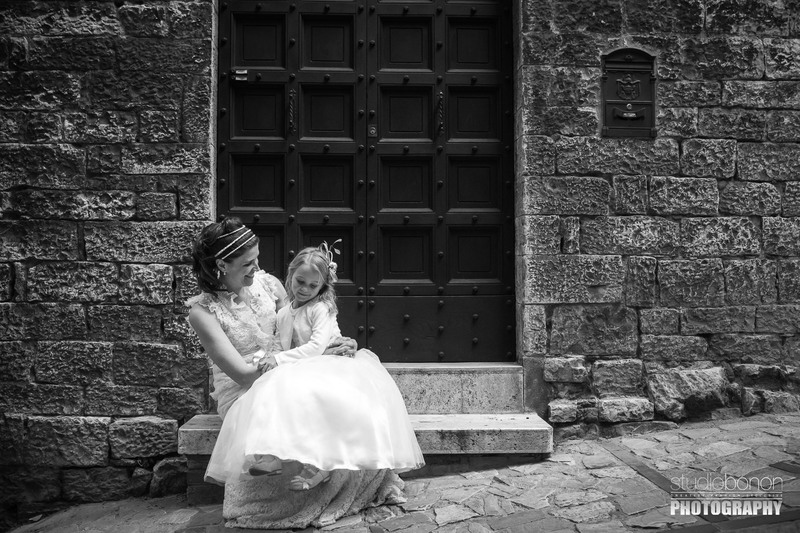 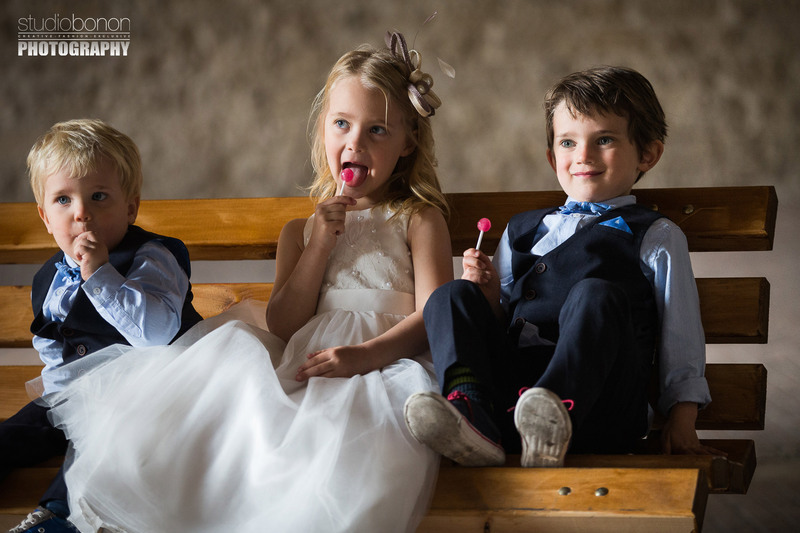 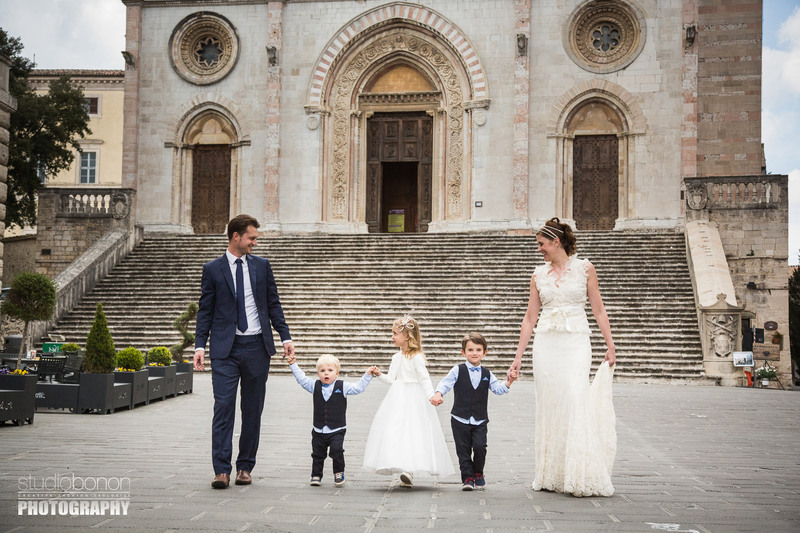 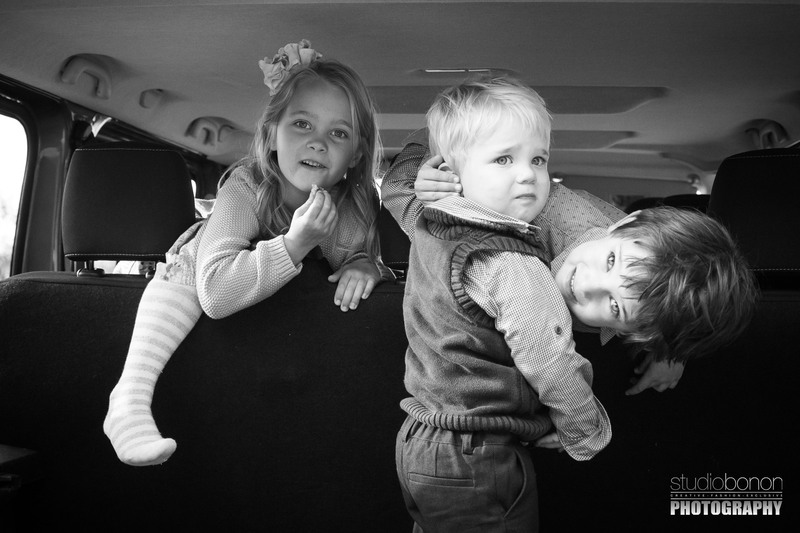 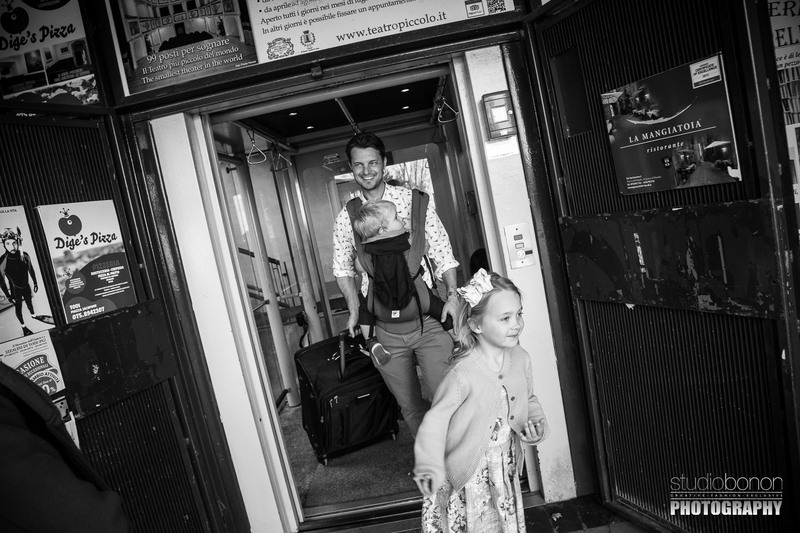 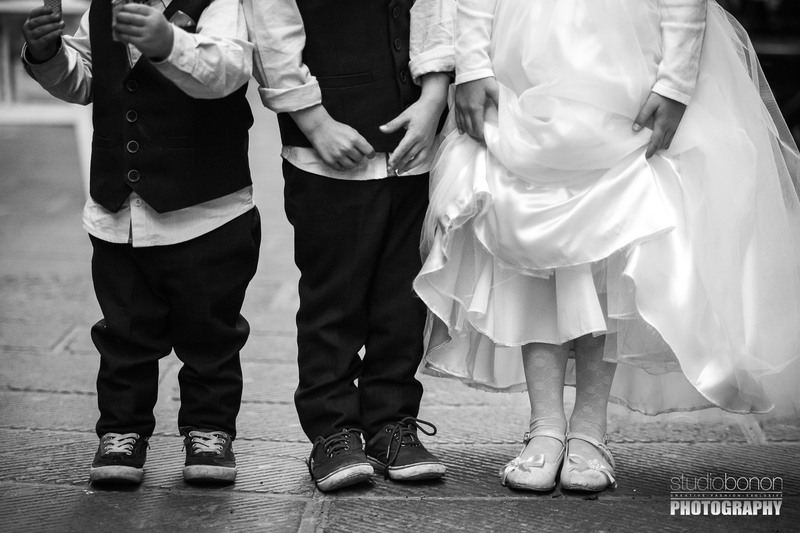 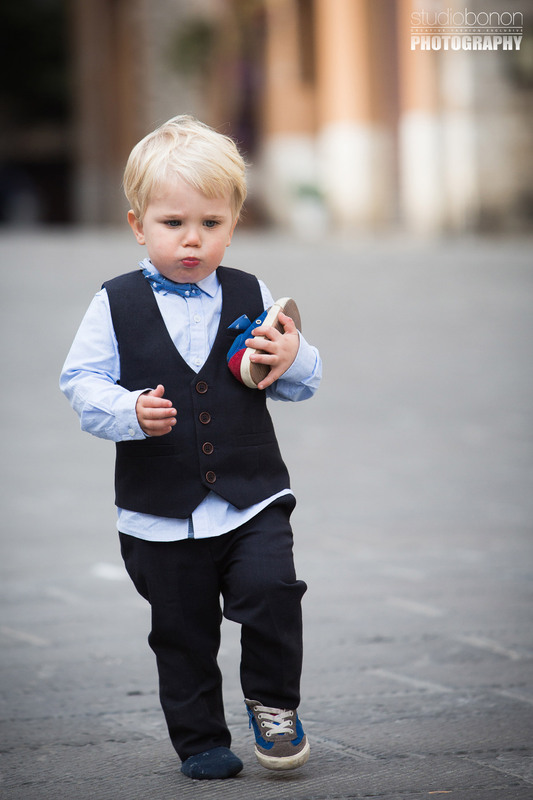 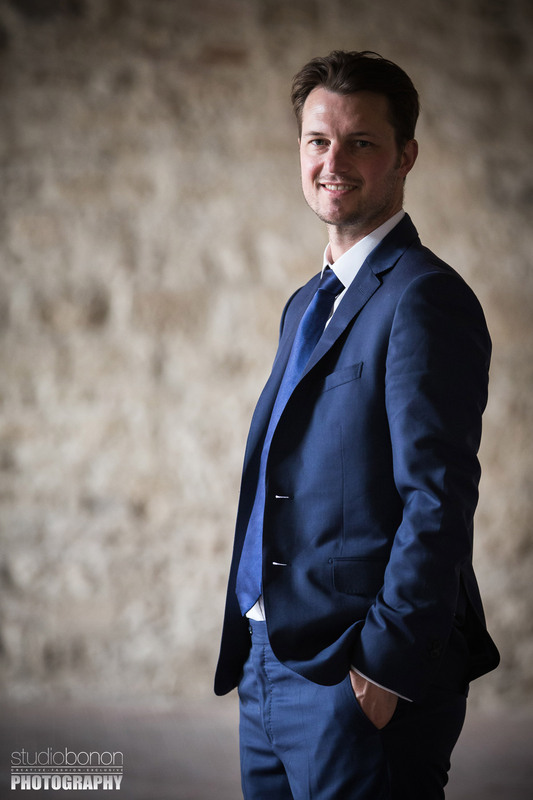 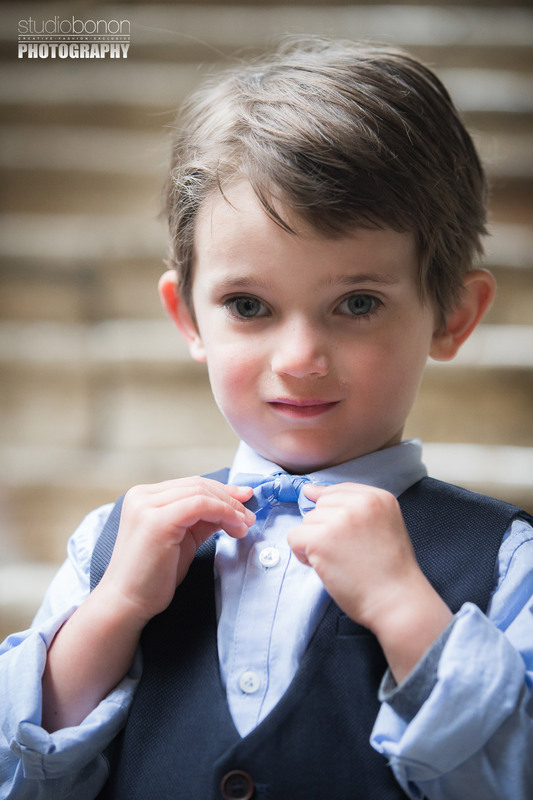 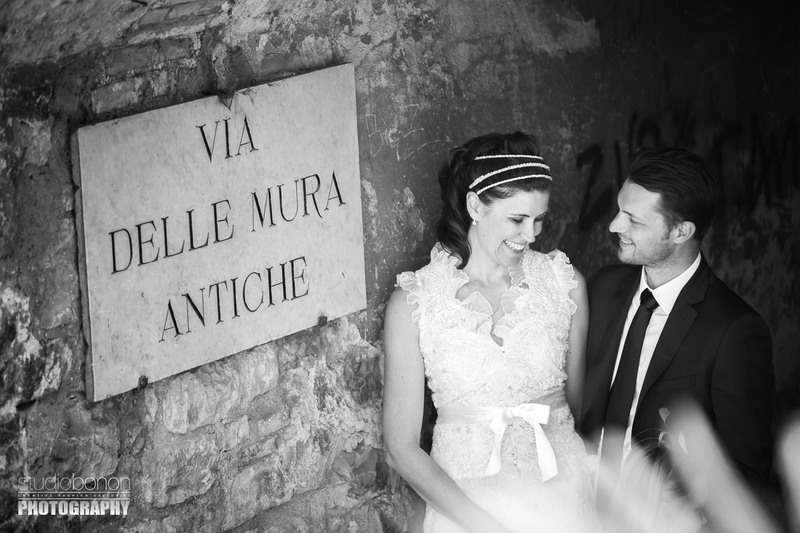 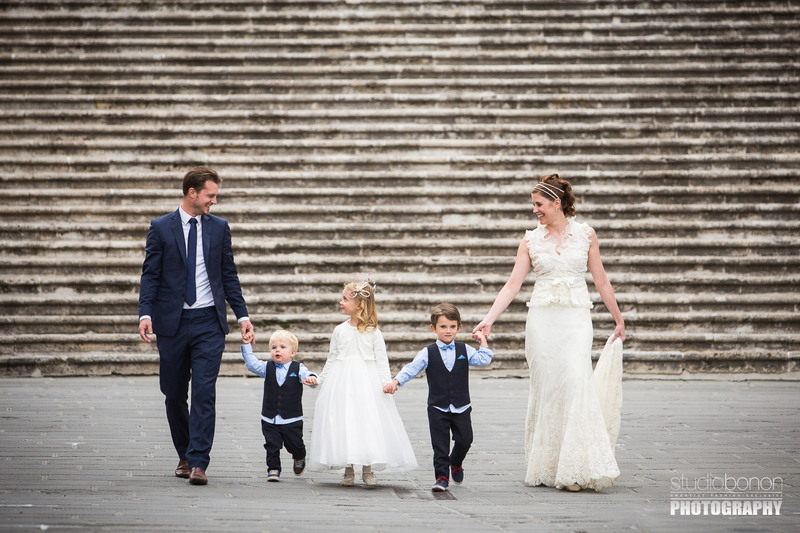 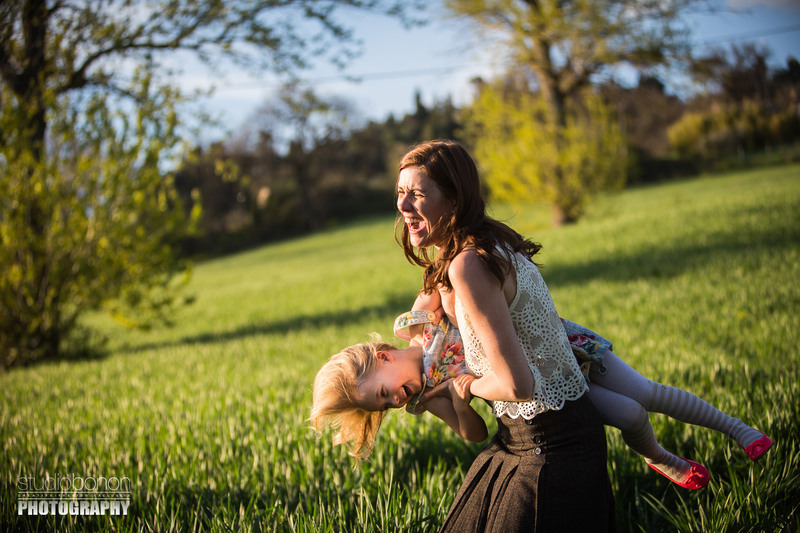 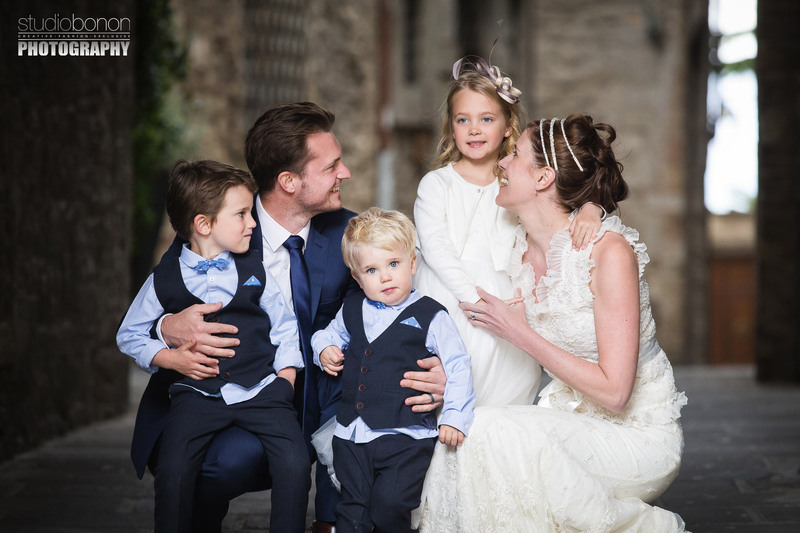 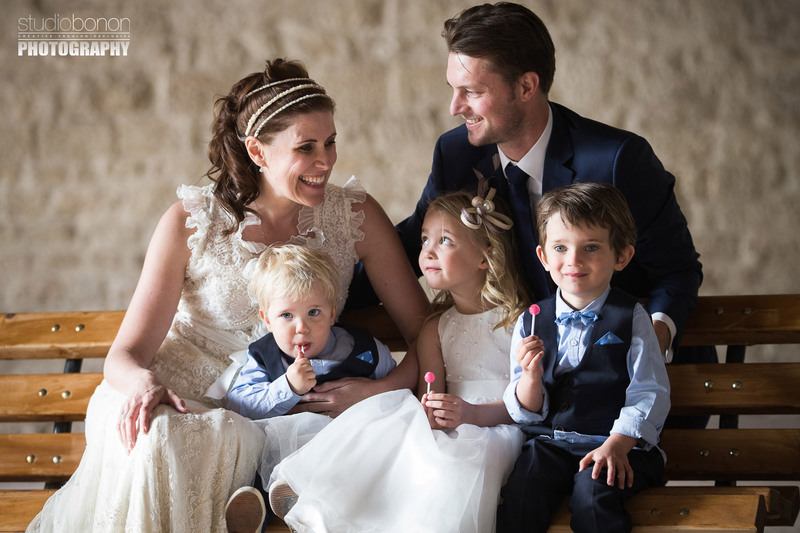 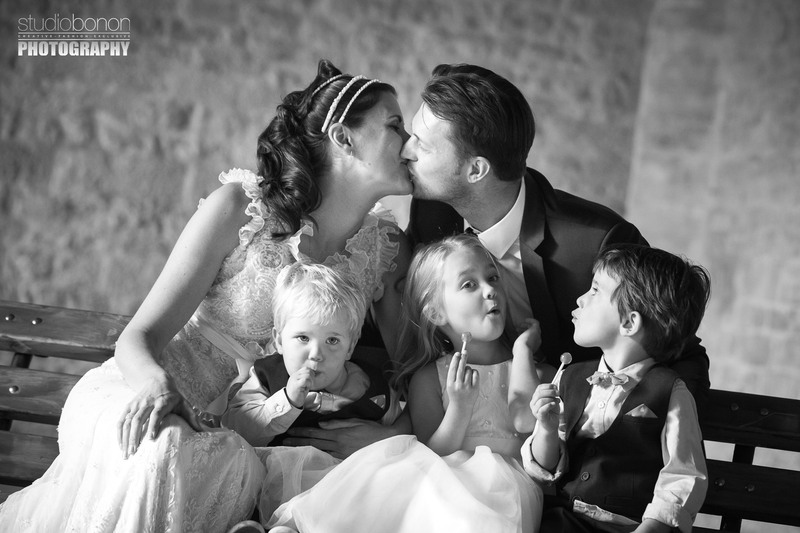 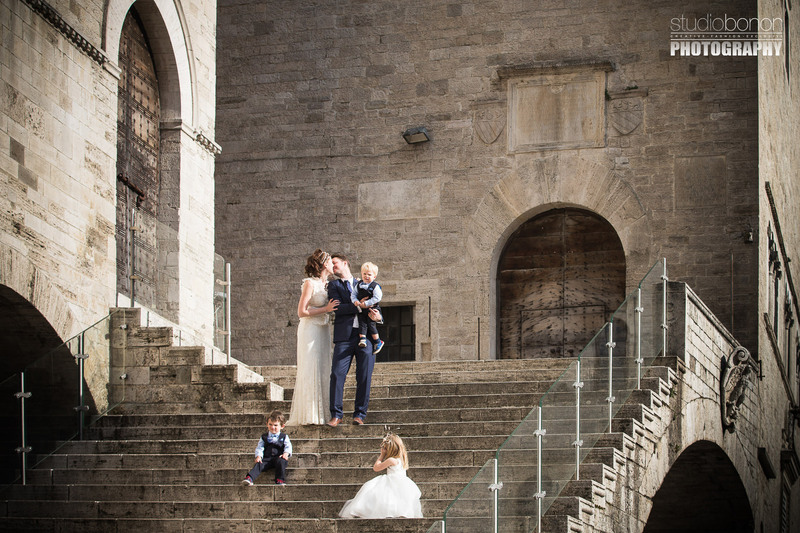 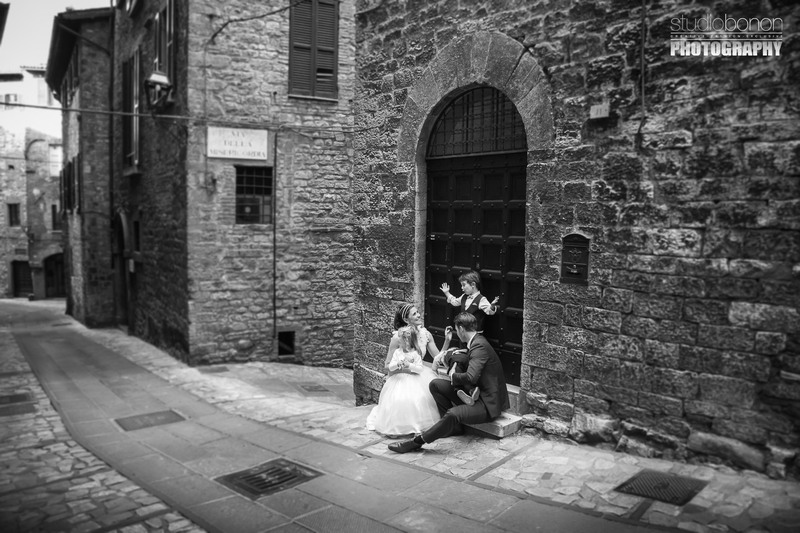 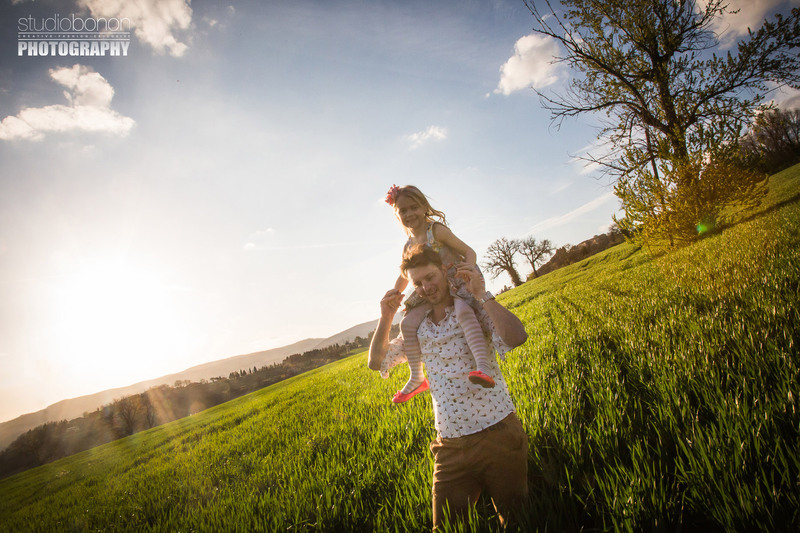 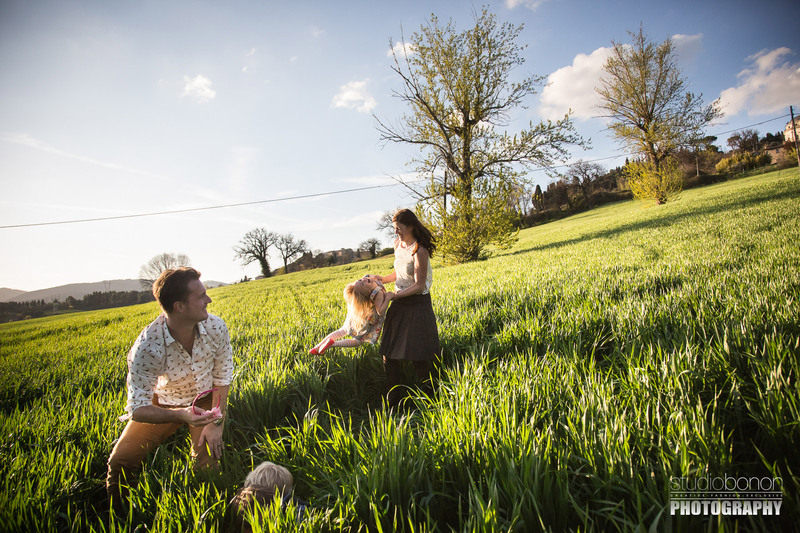 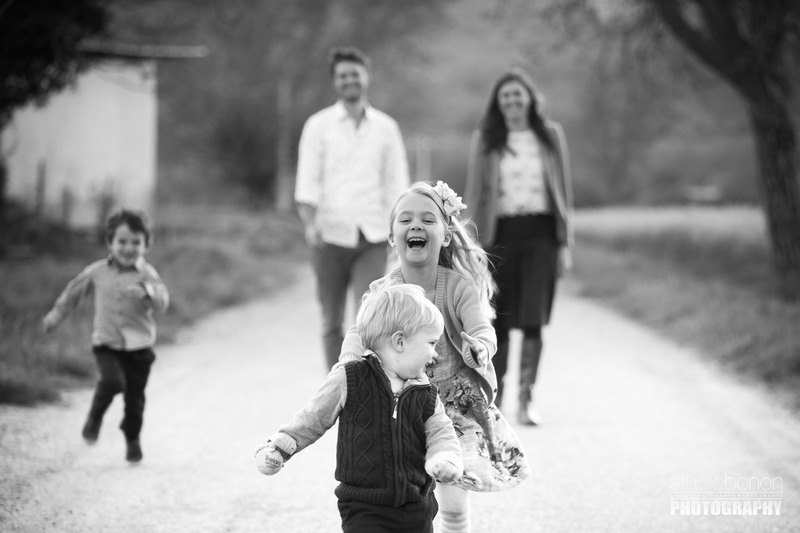 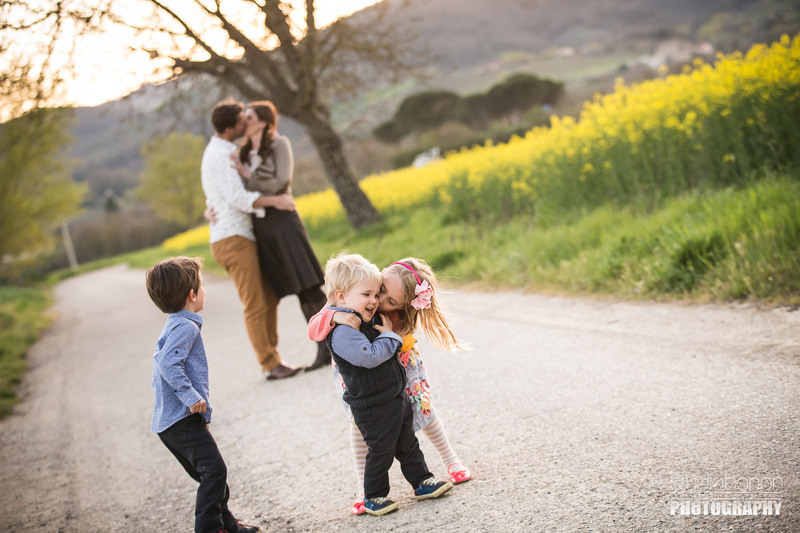 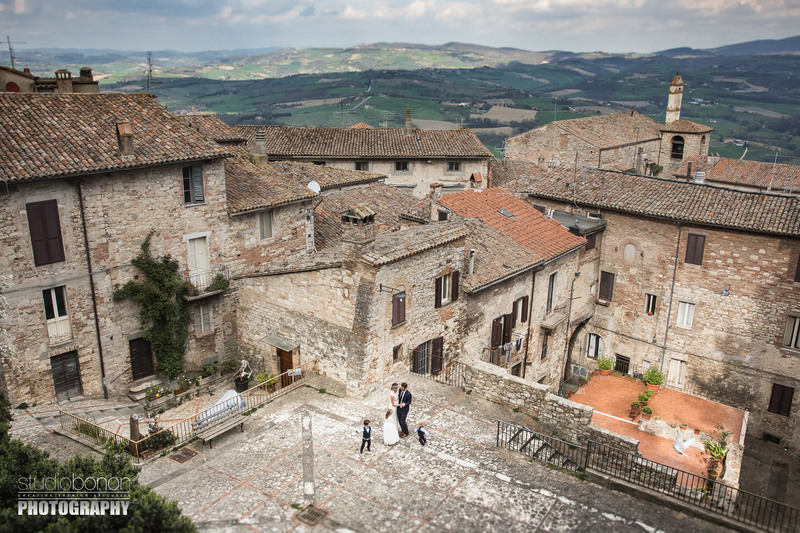 Eight years after their wonderful marriage and with three beautiful children, Tanya and Alex are back in Todi, a small enchanting village of Umbria which are very much related. 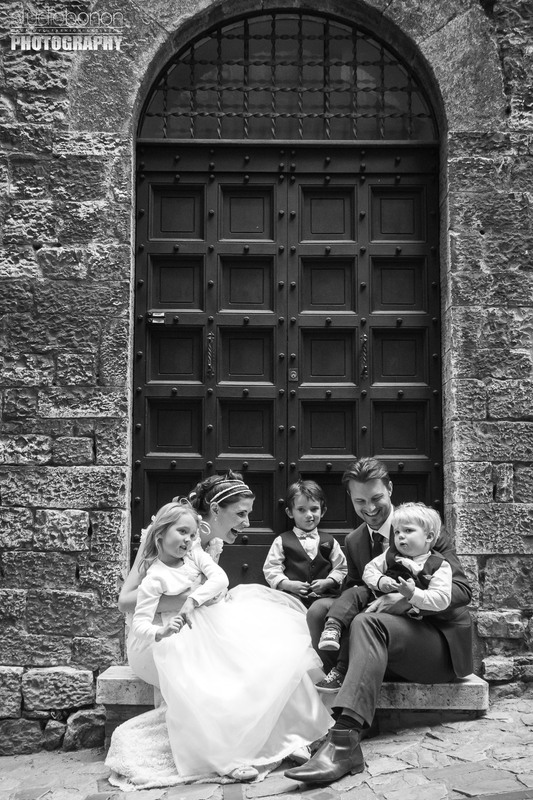 We had the pleasure of spending an afternoon with them and the chance to tell the nice family who have become. 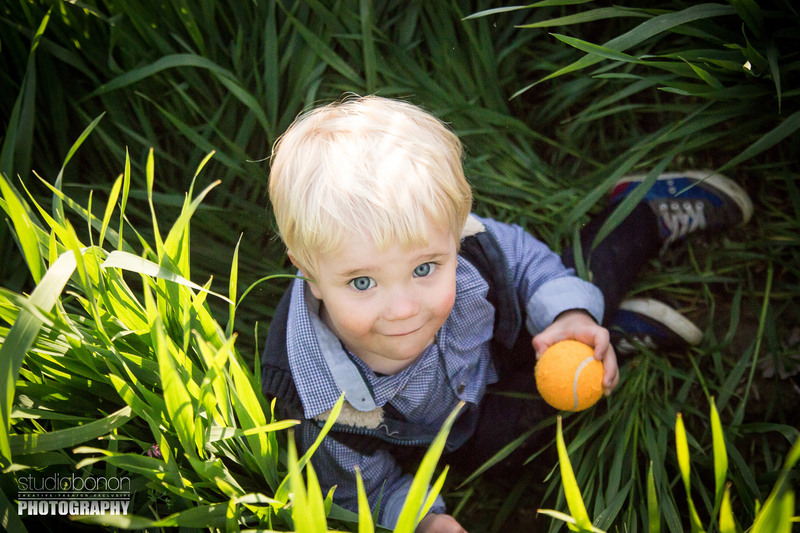 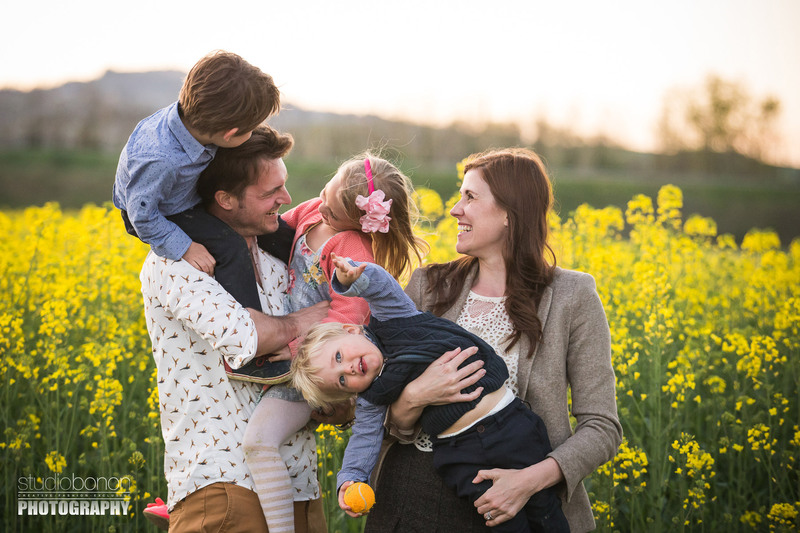 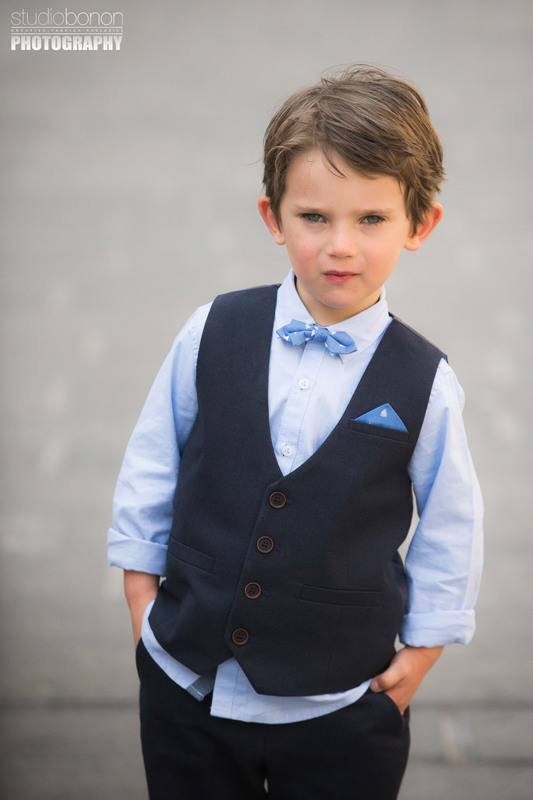 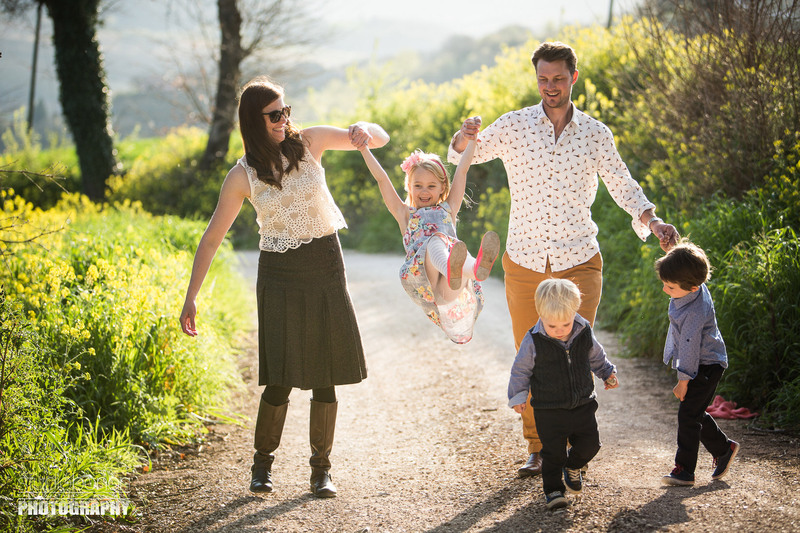 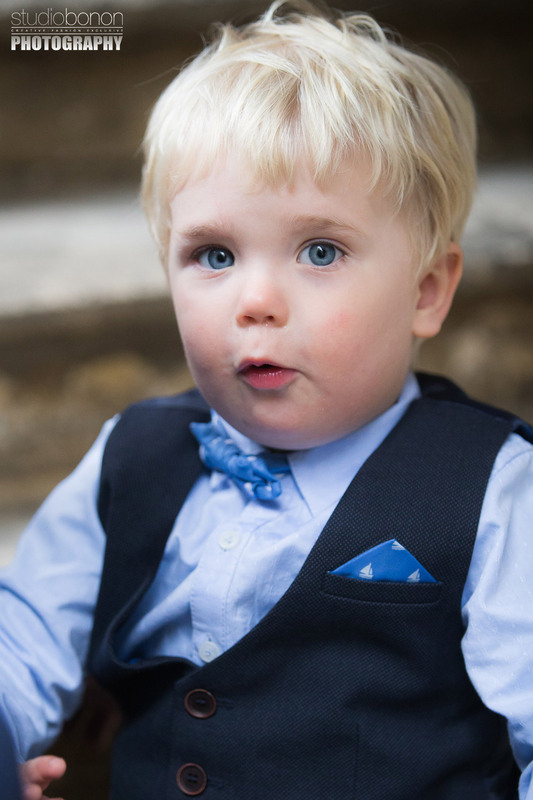 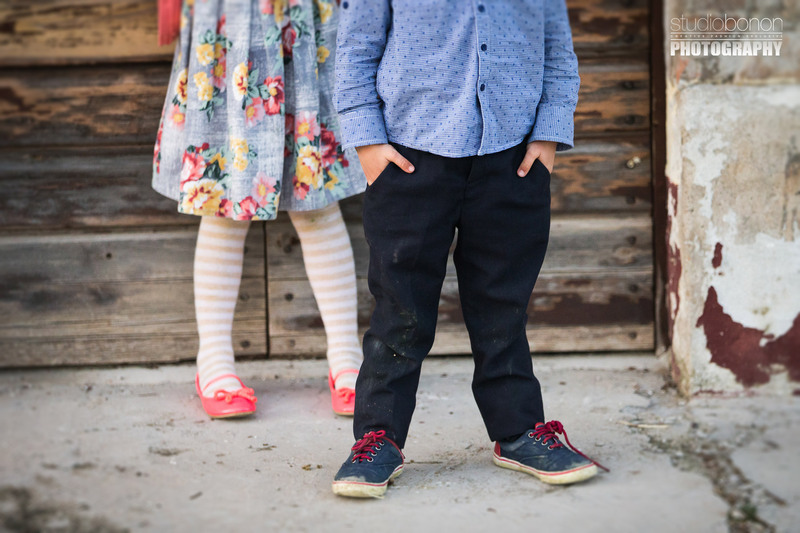 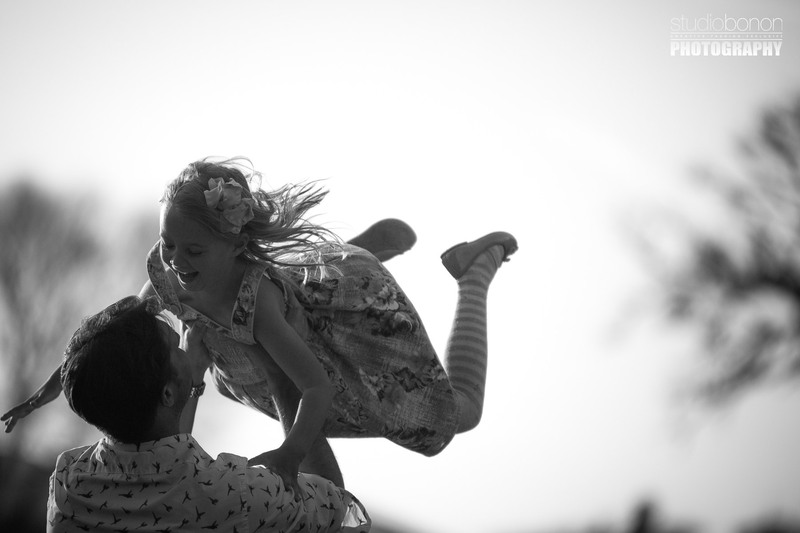 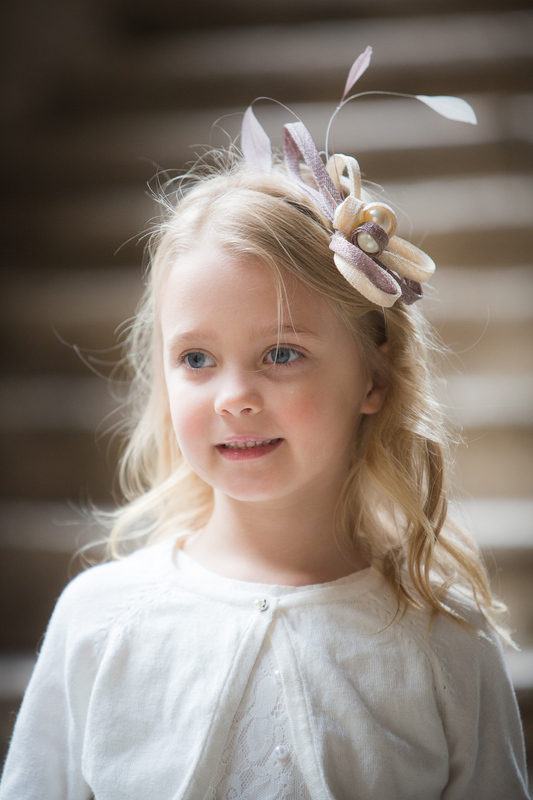 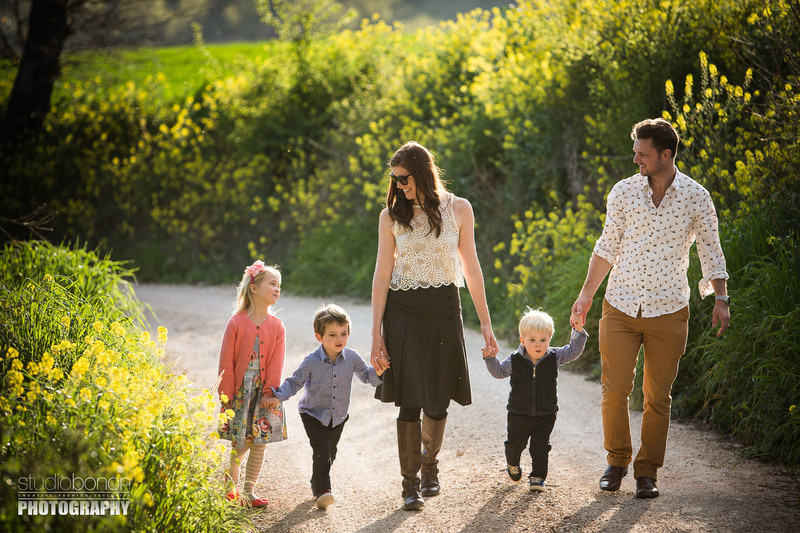 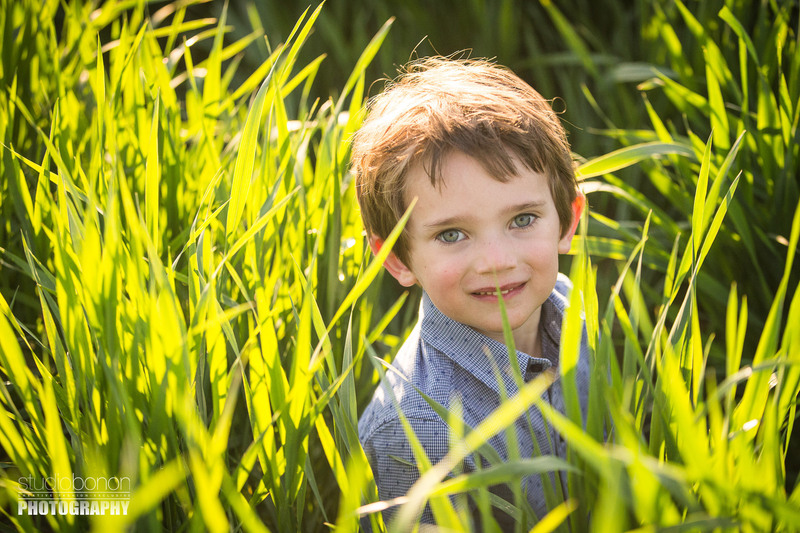 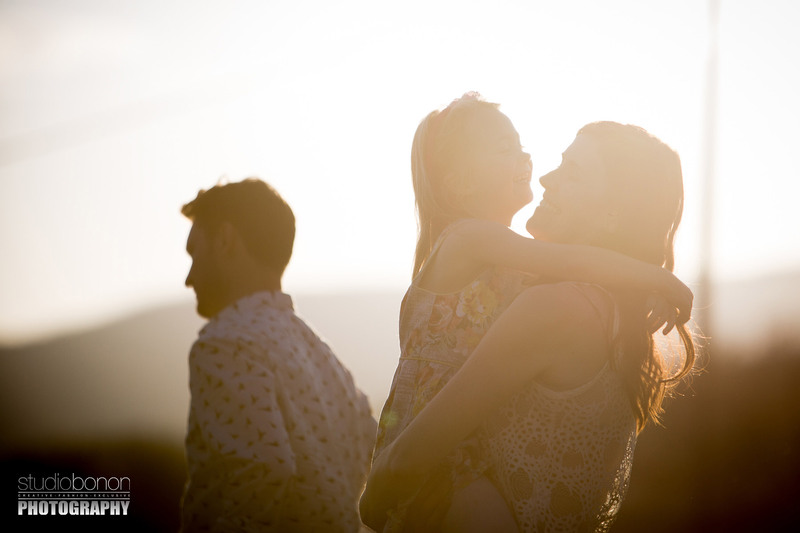 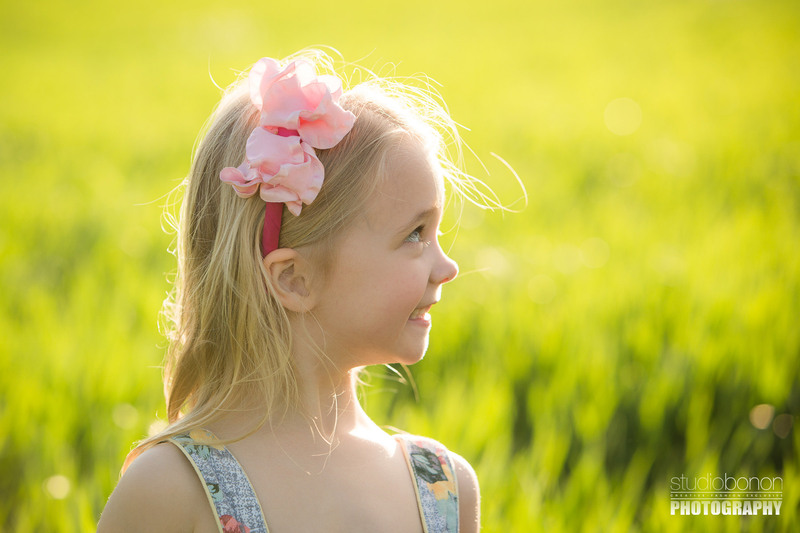 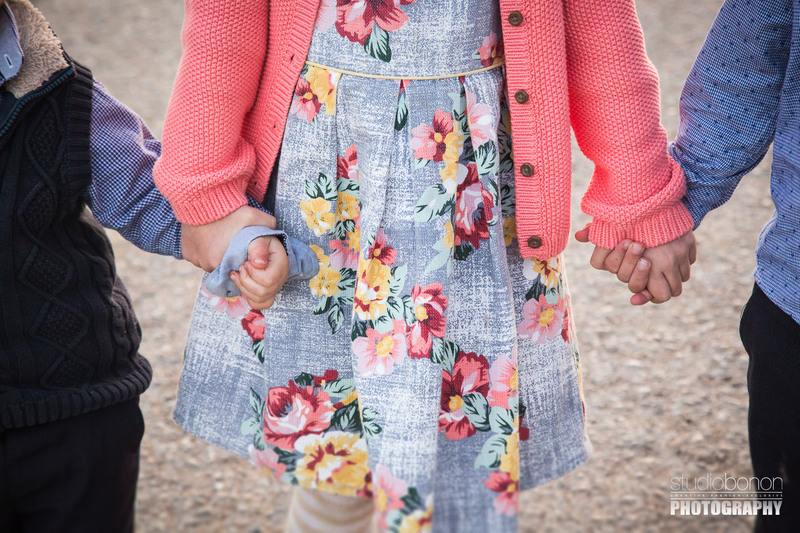 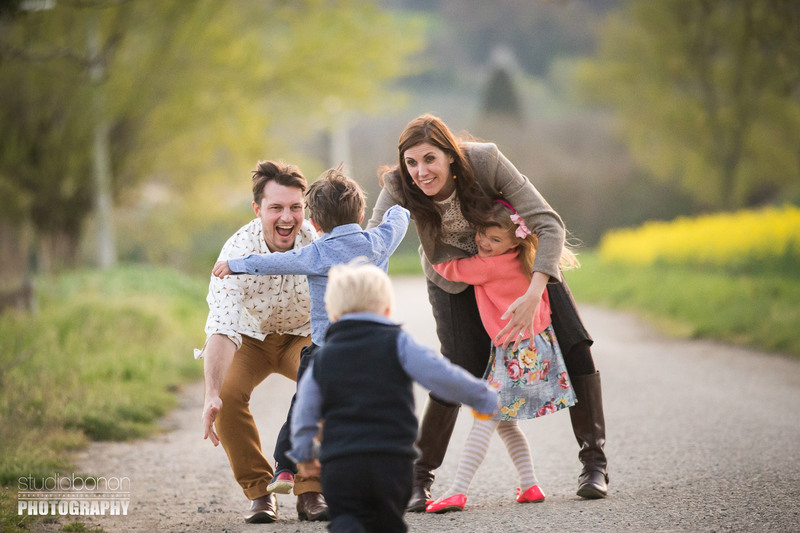 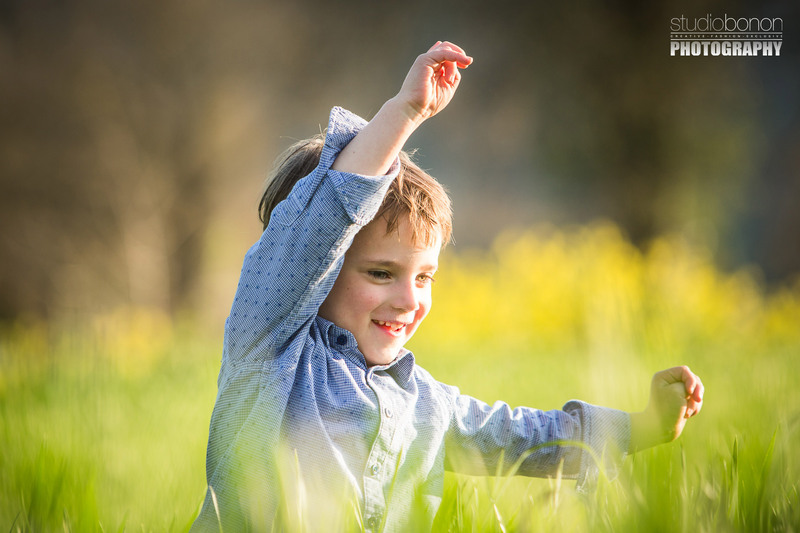 In the first part of the service Tanya and Alex have worn the clothes they wore eight years before, when they married, in the second part, after a quick change of clothes, we reached a beautiful field bathed in sunshine where we had great fun with their three wonderful children. 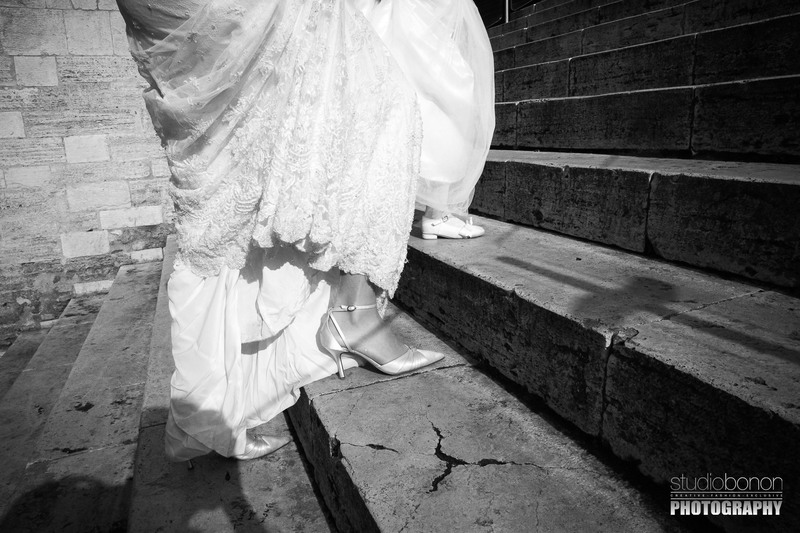 Thank you Tanya and Alex!